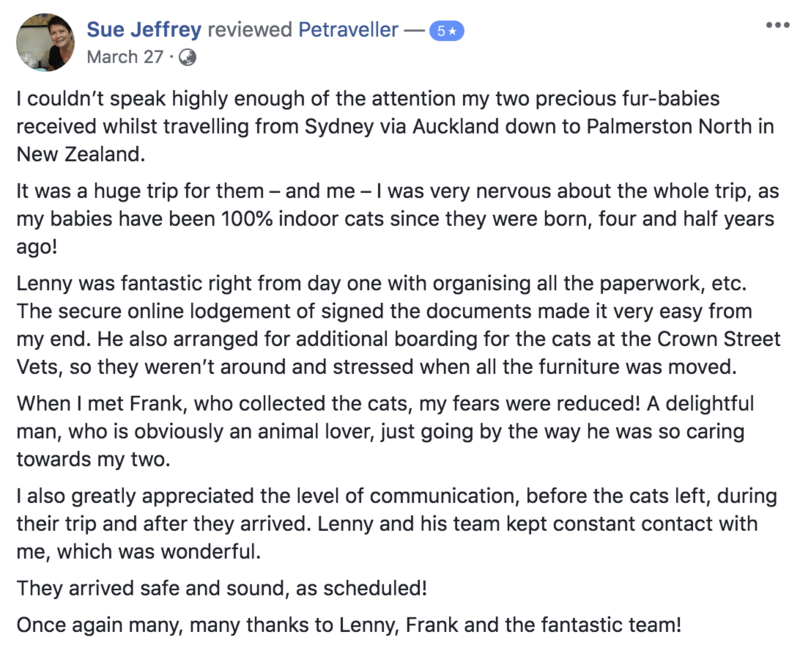 Susan and her adorable cats CruzyBoy and KittyCat relocated from Sydney to Palmerston North in New Zealand’s North Island. Susan shares her relocation experience. 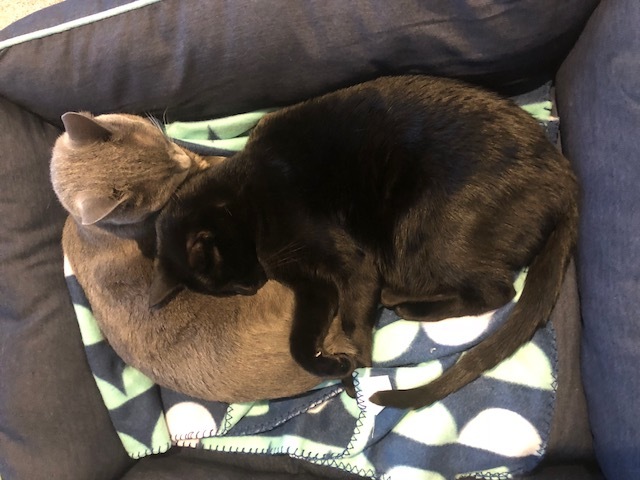 CruzyBoy and KittyCat are brother and sister Russian Blue cats and have been a part of Susan’s family in Sydney since they were 12 weeks old. CruzyBoy is blue grey and has grown up to be a big boy who rules the roost. KittyCat is black, much smaller and feminine and gentle. During a visit from Susan’s sister and her Pug, CruzyBoy and KittyCat were put in Susan’s bedroom as they had not been exposed to other pets before. When Susan opened the bedroom door she expected her pets to be hesitant in meeting their pet cousin. However CruzyBoy got on his high-horse at this little cat-sized creature having the nerve to come into his territory! “The hackles came up and the tail puffed up like I have never seen before”, Susan recalls. Their poor Pug cousin backed off quickly. CruzyBoy and KittyCat are now well climatised in their new home in New Zealand. They love being outside and they both have their daily haunts where they spend the day soaking up the sun. They have also quickly worked out how wonderful the heat from the fire is! Thank you, Susan, for giving us the privilege of flying your precious pets.